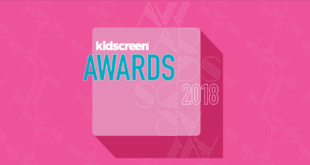 The 2014 Kidscreen Summit has revealed the latest wave of seminars, panel discussions and speakers taking to the stage at the 2014 conference in New York. Meet the CCO: This Q&A will see Nickelodeon president of content development & production Russell Hicks talk about the circuitous career path that has seen him take charge of setting the global content direction at one of the world’s most influential children’s broadcasters. This talk will explore the influences that have shaped the way he chooses content, and how he nurtures creativity and innovation. Meet the Studio Head: Marjorie Cohn, the first-ever head of television at DreamWorks Animation, will discuss her approach to producing 300 hours to fulfil Netflix’s largest commission ever, as well as the 1,200 new original episodes she’s charged with shepherding over the next five years. Cohn will also share what’s next for DreamWorks TV and where she sees the future of TV heading. The SVOD Effect: This panel discussion will welcome Hulu Kids’ content acquisition lead Benjamin Kim. The panel will explore how video-on-demand services are approaching original content and franchise-building, and what the impact these efforts may have on traditional kids entertainment platforms. Kim joins Amazon Studios head of kids programming Tara Sorensen, DHX Media SVP of distribution Josh Scherba, and Henson Global Distribution EVP Richard Goldsmith in the session’s lineup. Harnessing the Power of the App: Lauren DeVillier, VP of digital media at Disney will share her perspective on the burgeoning trend of launching series programming through apps first (and how this may change viewing habits and methods for gathering audience feedback). This panel also features Sprout SVP of programming Andrew Beecham, Nickelodeon senior director of preschool games Jordana Drell and Yummico co-founder Traci Paige Johnson while Disney EMEA VP of programming, production and strategic development David Levine will be moderating. Last year, Kidscreen Summit welcomed 1,600+ attendees from 47 countries around the world. This year’s event will take place from February 9th to 12th at the Hilton New York. 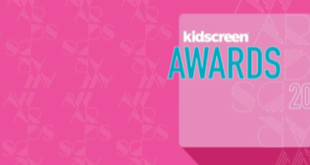 Registration for Kidscreen Summit 2014 is open. 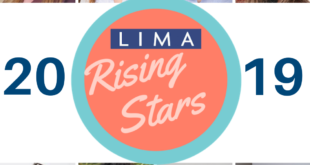 To sign up online or get more information, visit the event website at http://summit.kidscreen.com/2014/.